Most prospective spouses go into their marriages intent upon living happily ever after. Sadly, statistics show that divorce is a very real probability. If you are getting married, and are looking to avoid the need for expensive and time consuming litigation in the unfortunate event of divorce, a pre-nuptial agreement could be an important part of your marriage planning. Pre-nuptial Agreements are governed by Statute. It is important that you have an experienced and knowledgeable attorney representing you throughout the negotiation process, to ensure that your Agreement will be valid and binding. These Agreements are meant to make provisions for the disposition of assets and support in the event of a divorce. They can also make certain estate planning decisions. 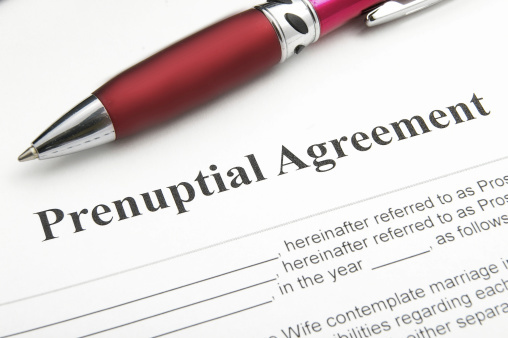 The family law attorneys at Puff & Cockerill LLC understand that every prenuptial agreement is unique. We pay detailed attention to individual circumstances, to ensure that the goals and objectives of our clients are met. making arrangements for children of a prior marriage or relationship.